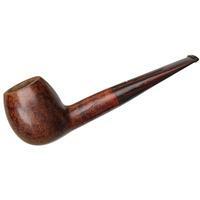 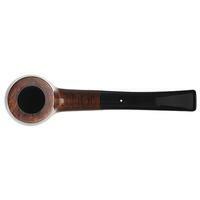 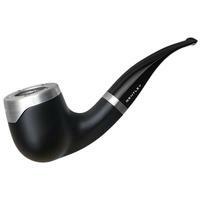 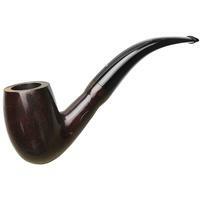 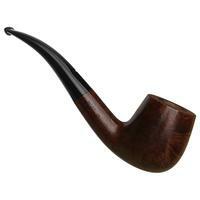 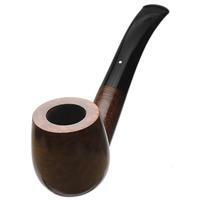 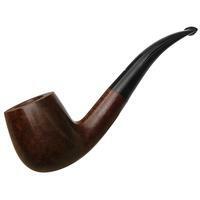 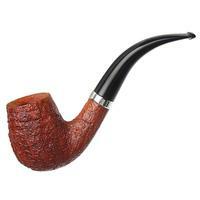 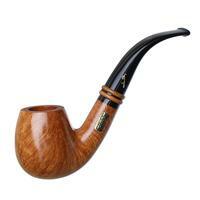 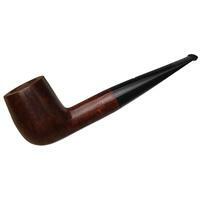 With thick insulating walls and considerable breadth to the chamber, this Dunhill bent Billiard resembles a Pot but with more height. 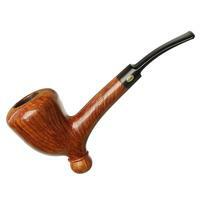 It's a large, palm filling Group 5 size, with an easy bend and firm profile. 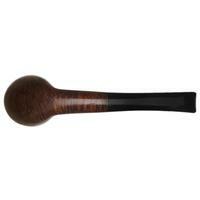 Dressed in the English marque's Chestnut stain, it displays some lovely cross grain and birdseye. 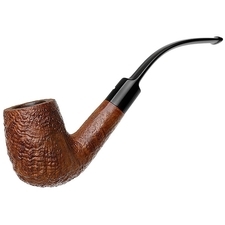 Though the stem is original, it's a curious one, being fashioned from acrylic instead of Dunhill's usual vulcanite, and it's fashioned to accommodate 9mm filters. 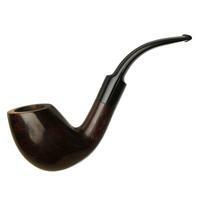 The stem is also somewhat loose and there's some over reaming and charring in the chamber as well as the finish being slightly worn.